As 2018 swiftly nears the end of its first quarter one of Europe’s best-known and most popular festivals is due to start, marking the unofficial beginning of festival season. Snowbombing launches on April 9, bringing an avalanche of colour and madness to the tiny mountainside town of Mayrhofen, in Austria. The festival is widely regarded as one of the first ski-based events of its kind (and still one of the best), taking après ski and mountain-based partying to a whole new level since 2000. As you can imagine, with 18 years under their belts, organizers are on point with every aspect of Snowbombing and there is so much to discover there. Yes, there is the musical lineup, which features the likes of Liam Gallagher, Pendulum, Dizzee Rascal, Eats Everything, Rudimental, Gorgon City, AJ Tracey, Ross From Friends, Rachel Foxx, Bicep, Hak Baker, Mistajam, and many, many more, but that's just part of Snowbombing's appeal. With that in mind, here’s some more insight into what it’s all about. Yes, you can sign up to a crazy, two-day rally that takes you halfway across Europe – from the shores of the UK, all the way into Mayrhofen. Get a team together, choose your outfits, jazz up your car and prepare to hit the road. It's a great way to get familiar with some of your fellow Snowbombers, as well as a novel way to travel to a festival. Travel through France, Germany and on to Austria, where you arrive to a huge fanfare in the middle of town. That's miles better than an uncomfortable frisk by moody security, right? Can you name the last time you partied in an igloo? If so, you're probably an Inuit. If not, like most of the world, you can fulfill that dream at Snowbombing. Every year it hosts some of the sickest DJs on the planet in an intimate igloo 6,000 feet above sea level, where the good vibes are at an absolute peak, both figuratively and literally. Elsewhere across festival grounds, there are parties up in the mountains, in a forest, there's the street party and also the infamous pop-up at Hans the Butcher's. Hans is a local hero and a couple of years ago he allowed organizers to set up a soundsystem in his shop, where Artwork and Eats Everything pumped out the tunes. Now it's an annual affair. Snowbombing is renowned as being a festival where you can really get wild. The party is nonstop for a whole week, but there are lots of ways to chill out and hit the reset button. Mountain-top "Voga" (yoga plus Madonna-style voguing) for instance – yes, the 80s-themed Paris Is Burning-inspired style of yoga – makes an appearance at the event this year. Also on the menu is early morning exercise with British personality Mr. Motivator; get up early and head to his classes for some Lycra-clad workouts. You can also indulge in a spa treatment or a rooftop hot tub. Sounds good doesn't it? It's worth it for the views alone. Oh yes, of course. So it's not all eat, rave, repeat in Mayrhofen – there is the opportunity to enjoy post-ski season powder up on those slopes, which are fantastic for skiing and snowboarding. The whole reason the festival started was to offer something better than the traditional apres ski activities (namely getting wasted to rubbish music), and that remains at the heart of the festival, hence being in such a great skiing location, with 650 meters of piste and Europe’s steepest slope (you know how to ski down a 78° incline, right? ), no less. So maybe consider giving it a whirl if you've never tried it. When Snowbombing takes over Mayrhofen, it does it with style. The fest's fancy dress street party is the pinnacle of the event's dedication to all-out fun. With a big stage set up in the middle of town, festies are invited to show up in their silliest outfits and party the whole day as a host of musicians and DJs entertain them. It's one of those moments where you realize you are really at a festival, as gangs of men dressed as Ninja Turtles rub shoulders with girls dressed as men. 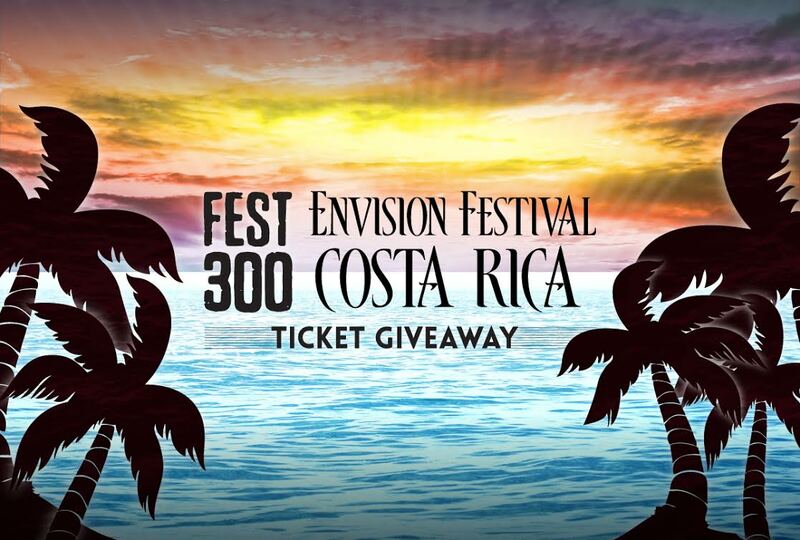 You'll find yourself thinking, "This really wouldn't be happening in this town unless the festival was on!" And you'd probably be right. If you like a good bop and think your dance moves can be put into a battle situation, then your only option is to jump into the ring and prove it. The dance off gives Snowbombers the opportunity to show off, be as silly as they can and, ultimately, try to win a hugely entertaining (and challenging) competition. The dance-off is just as much fun for spectators as it is for the contestants – especially when someone is actually as good as they think they are. On the flipside, those who aren't so adept are also very entertaining, so it's a win-win. 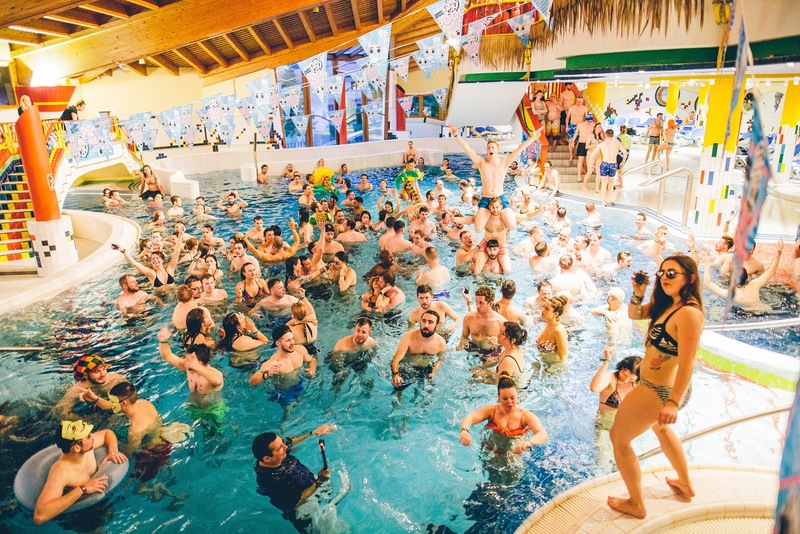 Each year Snowbombers are treated to a wet and wild soiree at the Snowbombing Pool Party, where top UK selectors will keep ticketholders splashing around to the beat. And this is not just any pool – it's the Erlesnesbad Adventure swimming pool, which is a gorgeous, heated indoor pool complete with waterfalls, rapids, hot tubs and an array of inflatables and a full bar. Get those speedos ready. Snowbombing goes down April 9-14, 2018 in Mayrhofen, Austria. Grab tickets here. This article was originally published in February 2017 and has since been updated.